In last few days, the number of Konkani visitors to my blog as well as Konkani recipe requests have significantly increased. So I have realized that, I am moving away from the basic idea of my blog. So now on, for few days, I am going to blog about very specific Konkani recipes. 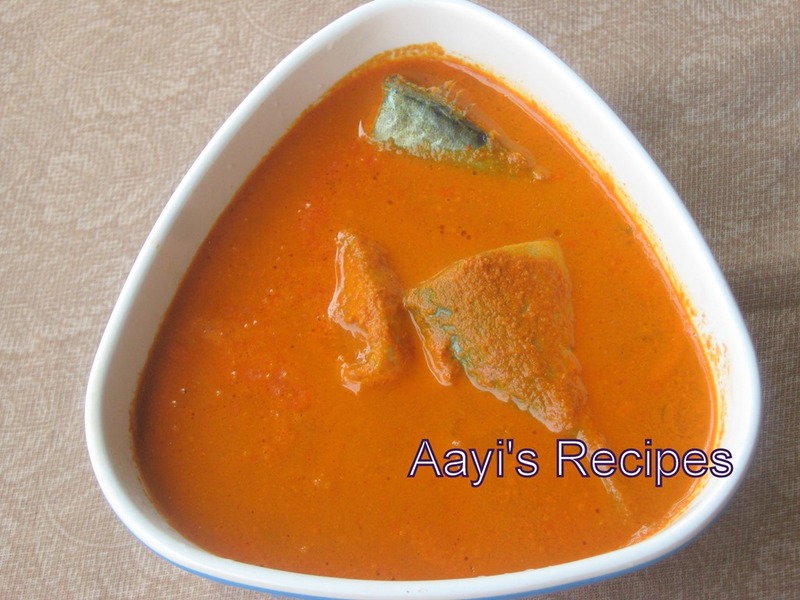 We prepare two specific type of fish curries. One is called Kande Ambat (Onion curry) and other is Teppla ambat (Curry using teppal ). 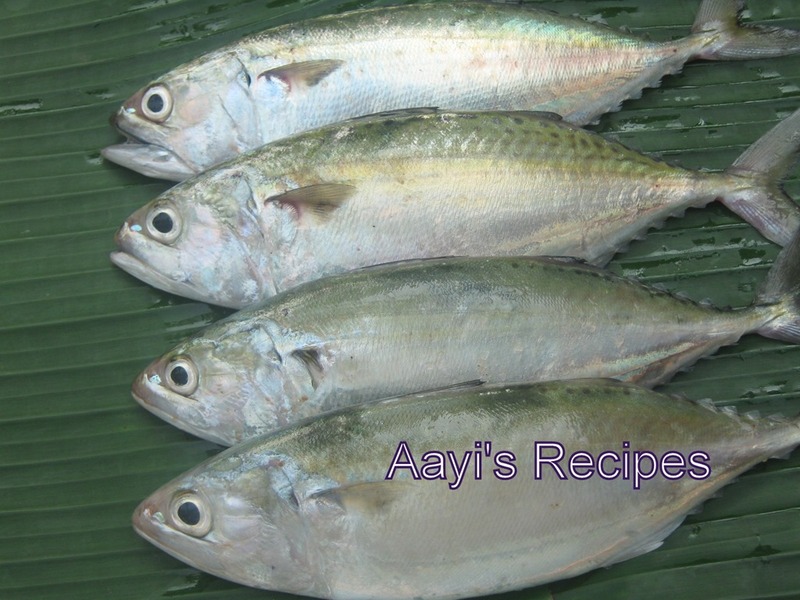 But for mackerel(bangda) gravy, we add ginger too and call it alle kande ambat (ginger onion gravy). Grind together coconut, red chillies, tamarind(if using kokum, add them later when the gravy is boiling) and 1" piece of ginger to a very smooth paste. 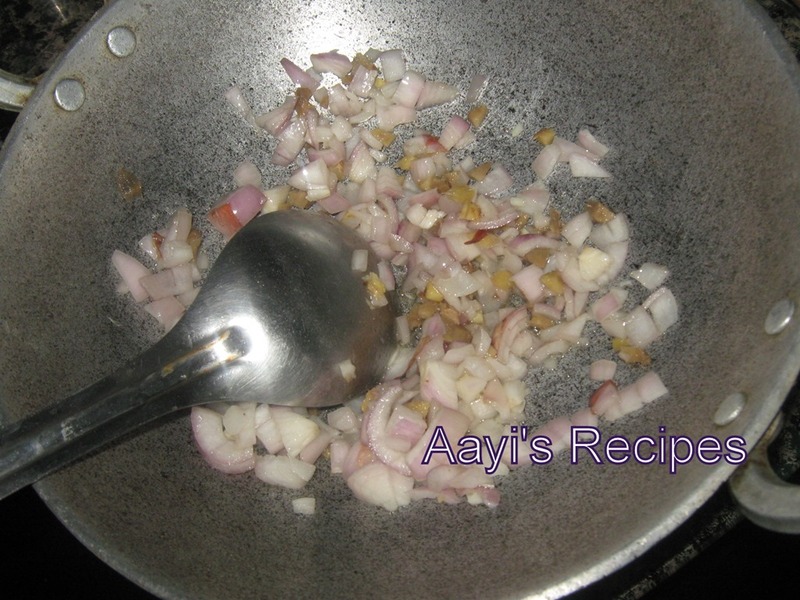 Heat oil,fry chopped onion and remaining ginger(cut into small pieces) till they turn slightly brownish. Add the ground masala, green chili(slitted into two) and salt. Cook for 5min. Now add the fish pieces and cook till the color of the fish changes to white. Note: Fish curry tastes well after 8-10hrs. You know I have 2 konkani friends. I had these sweet buns also. Hi Shilpa, the fish curry looks really delicious. Tapals!!! I love that stuff…no one ever seems to know what I’m talking about but my mom keeps me stocked with that stuff…hey, when are you going to blog about dried bangda curry? And kokum kadi??? I just read your post more carefully…yeah, you must bring tapals back from Karwar or Ankola or wherever you hail from…it’s way too specific a spice to find in North America. I swear my mom brings back a suitcase just for tapals and watamba sola and pink sola and ambli lonchi and stuff. Thanks for sharing this recipe. 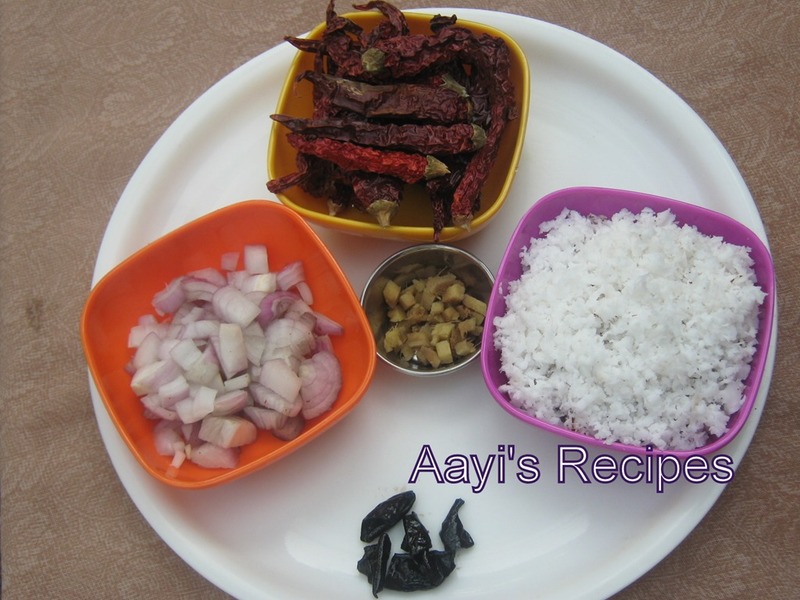 I came across your blog and was very happy to see “aamchi” recipes. I’ve been trying to cook the Konkani dishes that my MIL makes but i’ll certainly try ur Aayi’s recipes too. MM, Same problem here. I found out that Teppal is also called Chinese pepper. So I went and asked in China town. They said ‘We dont know what are you talking about.We have black pepper, white pepper.Black pepper is good.Try it’. We took 15min to explain them what a teppal is, finally their answer was same. So now all my hopes of finding teppal are gone. Hey, I have already blogged about Kokum kadi. Have a look at the “non alcoholic drinks” section. Pai, thanks for the comment. I forget about some of the great dishes sometimes. If you mention the names like this, I can easily post the recipes.Thanks again. Shilpa, wow, that’s what Chinese/Sichuan peppercorns are? They’re the same thing as tappals? Sichuan peppercorns were banned in the US for a really, really long time which is probably why no one knew what you were talking about. They’ve recently been declassified from banned status so you may be able to find them in Chinatown, although I hear they’re filtering back slowly. If you live in a major urban area with a big Chinese community (San Fran/NY) you’ll probably have more luck. Apoos mangoes used to be banned, too. When I was in undergrad my parents used to sneak them over from Canuckistan. How long have you been in the US? Have you started clandestinely growing a kaddipata tree in a pot, yet? MM, wow, thats a great piece of information. I came to US just 2 months back. We buy the curry leaves in the Indian store here. But I never get very specific Konkani ingredients here. May be I can try in NJ sometime. My grandmother dies recently, and she had to be the BEST amchigele cook in the whole world! And don’t we all amchigeles think the same of our moms and grans!! haha Anyway, sadly, she didn’t let us into the kitchen much, and I barely managed to pick the fewest recipes from her: tendlya upkari, cabbage upkari, masols of a few types, etc. from her, but obviously not enough. I live in Japan (of all places, esp. where teppal is concerned) but luckily came back with some on my last trip home. Please send in a Teppla ambat recipe please please please. The kandya-alle ambat looks gooood!!! Keep it up! I LOVE the name the most, I think..’Aayi’s Recipes’ hits right home, esp. when you are NOT home…. sorry… that was supposed to be dieD. All thats left of my family is a younger sis who does not know how to make….TEA!!!! forget kashaay! keya, try “dudde randayi” in “side dish” section. its one recipe with teppal. I will post some more soon. btw..keya, you have a greater possibility of getting teppal in Japan. Just see the wiki link I have mentioned in my post.You can try searching it with its Japanese name. Just had a question. What kind of red chillies do you use in your curries. We get two kinds here – the round ones and the usual long ones. I have not seen Kashmiri chillies in our Indian stores here. Let me know which variety is the best for our kind of curries. Thanks! I use the long red chillies available in Indian stores. But I am not at all happy with the colour or taste of them, still I am managing with them. I did not find the Kashmiri chillies here either :(. I wish I had them here somehow. (somehow in the picture, the curry is looking red, but usually my curries do not have color because of pathetic chillies). Try to put less water while grinding and when it boils then put fish to it.. put less water while cooking too. Shalini, Recently I found ‘Byadagi’ chillies in one of Indian stores here. That gives a very nice color to gravies. Vy, I guess you can use Indian Mixers to grind the masala, and that will solve all the problems. The blenders are not made for our kind of gravies :(. Indian mixer is on my ‘to buy’ list for sometime now. Very very authentic!! We call it “Alle Piyyav” Delicious!!! I am amazed to see the collection of the authentic Konkani recipes in your blog. Keep up the good work!! Thanks for the lovely website. Me and my husband are originally from Kumta. It really helps to have all the traditional Konkani receipes readily available. Now I will not have to call my mom or mom-in-law for the receipes. I have two (one south kanara and one north kanara) konkani receipe books which are in Kannada. You have made it real easy for me but posting all the lovely receipes in English. I m a konkani student now in the USA, and I find that your site is a great reference when I want to replicate a dish that my mother makes at home (and when it is inconvenient to call her to get more information!). Thanks a lot for your recipes and tips and the pictures are great too! Thanks Sonam, Sneha, Ajeet. Such comments from you all is the inspiration for this site. Keep visiting. 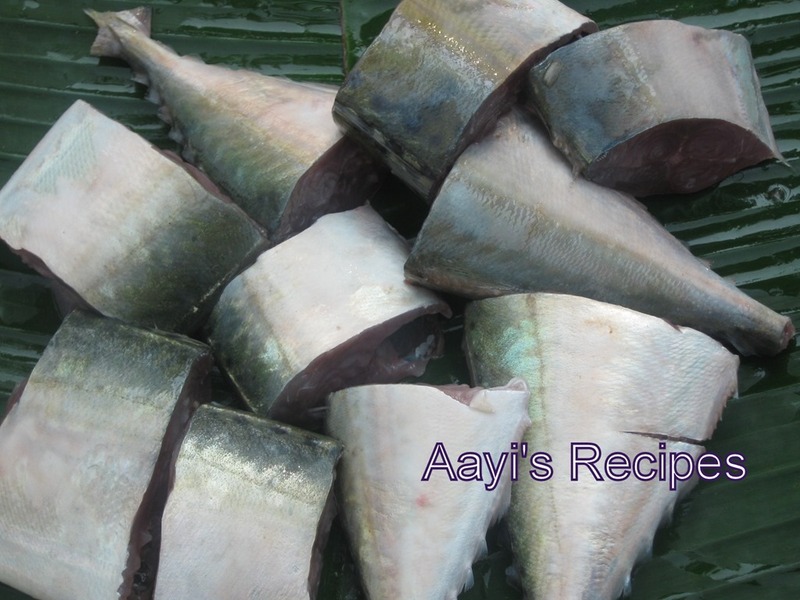 could you please which varieties of fish can be used for making our konkani type of fish curries. as I get scared to buy the fish here in San Jose. Kanchan, you can try pomfret(paplet) or Meckerel(bangda) or Spanish Meckeral(Iswan or Surmai). I buy them from Chinese store here in Kansas City. No idea about San Jose. Loved this site!! found this today when i googled for “alle piyava ambat”. this is a good site for all the yummy konkani recepies. I live near Boston and I found the red chillies we use back home. It is made by Swad – the packet reads ‘South Indian red chillies’ – the chillies are very long and wrinkled. These give out good color and are not very hot. So my curries do come out rich in color, but not that spicy. By the way, I found this in a chinese store which carries Indian grocery – I don’t find it all year round – only once in a while. But when I do find them, I stock up ! Was planning on trying this recipe out and hence the onion question (says 1) but mistakenly posted it in the other recipe feedback. My trials with fish curry have been in vain mostly because of onion I guess.By the way which do you use red/white/yellow onions for cooking? So anyways I am hoping this will come out good after I know exactly how much to use.Thanks. Coold, I have changed the onion content and given the measurement in cups. Give it a try. Hope you like it. I tried this recipe and like you mentioned it tasted great after couple of hours.Thanks Shilpa. We liked it very much. 1. Instead of tamarind I used AMSUL (Kokum) 2. Once with Lemon Grass Water (About 1 Tea-Spoon) and Basil. This variant tastes better with a little basil (about 3 leaves) in paste and Jalapeno. Shilpa: Divya, I never tried salmon yet, but I have heard that it tastes great in our kind of dishes. So I think you can give it a try. I have tried cat fish though and it tasted great in the gravy. Majhi aai kal Tirupati la geliye. Bahercha kaaahi mala jamat nahi. Bara jhala hi site milali! aata varan bhata barobar machhi pan banavta yeil 🙂 Aabhaar! Many thanks for this recipe. Tried it today and it came out simply awesome!! We both loved it completely!! My parents being from Bantwal Mangalore this recipe is kinda imprinted in my memory thanks to it being the staple diet of all self respecting Catholic Mangalorians. I’d like to make a suggestion here though, increase the quantity of tamarind and red chilli for half a cocunut 5-6 red kashmiri chilles which are more color than fire would do just fine. tamarind should be the size of a lemon. add a tomato not too finely minced. Along with improving taste it adds to the aesthetic value of the gravy. yes i admit i not only eat food with my mouth i eat it with my all my other senses as well. food affects all my senses —— the color -sight, the aroma— smell, the sizzling and crackling sounds foods make when getting cooked—hearing, and the texture of the food —-touch , and last but not least the saliva inducing —–taste. Also after you done give the curry a tadka of lots of kadipatta and rye. this gives the curry an even better flavor. garnish it with hoards of coriander leaves. believe me the coriander leaves give this curry another dimension altogether. let me know if you try it with these additions. thanks for your response . I was just reading your fish curry recipe (alle kande ambat ) and was surprised to see that there were no spices like jeera dhanya etc mentioned . However my husband loves Konkani food so I am going to try it . I live in Sydney so I know what you mean by the taste not being the same as in India , but I guess we can’t be too fussy and have to make do with what we get here .What would you suggest would be the best fish to buy , we have quite a large variety here. Shilpa: Lucia, I don’t know what kind of fish is available in Sydney. But I thought it has good fish as it is on the shore. We here are thousands of miles away from sea. Do you know what fish is available there? Even though I have lived in Sydney for couple of months, I had not tried fish there. Just one question. In the photo the dish looks like as a curry. But in the recipe which you have posted there is no water or coconut milk added. Is it missing or its a dry dish? Shilpa: As much as water can be added while making a paste from coconut. The thick coconut masala is the gravy for this dish. thanks for your reply . We have a lot of varieties of fish here ,however the names are different than that from India . Spanish mackerel would probably be the fish to use but whenever I’ve tried it , it has had a very fishy smell if you know what i mean. I was wondering if I could use prawns instead . Shilpa: There is another shrimp gravy(sungta ambat) under shrimp/prawns section. I think that will be more suitable for the shrimps. Dear Shilpa…my previous neighbours used to cook Konkan style fish curry (with Bangda) and that was really really good. But the colour of the fish curry was green. Is that curry different from the two published here…I forgot to take recipe from her…wish you could help me…. Awesome reciepe, dont you need to add water and vinegar in this recipe? I have add fish curries in goa long back and they had this acidic flavor…just wanted to know if you have the same in this curry. Shilpa: No vinegar is not added to this dish. Enough water to bring it to gravy consistency is added. went through your blog. its wonderful. wanted to add a tip(not my own but age old wisdom i guess).. i add a few grains of rice(less than a quarter tea spoon) while grinding the above masala. the gravy doesnt split on boiling as the starch in the rice helps it bind. Shilpa: I normally use Byadagi chillies. Basically Teppal is aka Nepali pepper – Also called Szechwan Pepper or Timur Pepper can be found in Oriental stores. Timur pepper/Szechwan pepper (pimpinella anisum) is native to the Szechwan province of China. Though it bears some similarity to black peppercorns, they are not actually of the pepper family, rather the dried berry of a tree in the prickly ash family. The Szechwan pepper is one of the few spices important for Tibetan and Bhutani cookery in the Himalayas, since very few spices can be grown there. Fruits are globose and are encapsulated in a grayish, pimpled purse-like jacket when young but splits into two halves upon maturation of the seed. A mature seed is oval and jet black in color with a highly wrinkled surface, hence often mistaken for a pepper as the English name indicates. I tried this tonight. It was awesome. I missed my mom so much when it was done. It was the same thing that she would prepare. Im glad i found this website. My wife and I have been using your site to access some traditional North Kanara recipes. We recently tried out the Alle Kande Ambat and it turned out to be absolutely perfect. Just like the one I remember from my Athya’s who in my opiion are Oscar winners vis a vis NK recipes! I wonder whether you know the recipe for a dish called Kayros which my mother used to make. As far as I recall it had bhendi and capsicum as its essentials in a greenish randoi. Looking forward to your research and response. i m not a konkni.but i like to taste diffrent food.i’v tested malvani ,gujrati.rajasthani……………so on i tried diffrent cuisine at home,plz specify the ingredients (common names)which we can find at super market eg.teppl. ‘Alle peeyao gashi’ : first marinate the fish in little coconut oil,chopped green chillies,ginger,onions. Prepare the masala by grinding coconut,red chillies & tamarind to paste. Bring it to a boil, then add the marinade (keeping the pieces aside), lastly add in the pieces. when done, add few drops of hing water. Hope u try this sometime. I am also from Kokan area and this is my favourite recipe. What I do is I grind onion with the coconut and after heating oil I fry little bit garlic in it. thanks for recipe shilpa… i will have a try on it. i should say u have done an excellent work for exposing this extraordinary recipes to the millions of people in the world. i am also a konkani…but never have a idea like this……. Grind the mixture to a smooth consistency. Rice will hold the mixture together. The paste should be really smooth. If the mixer turns hot, wait and grind again till you feel no coconut when you take the paste between thumb and fore finger. In a Bowl, heat oil, Add 1 onion finely chopped. After the onion turns slightly brown ,add the red paste. After a boil, add the fish and simmer till fish is cooked. Serve hot with chopped coriander. HI shilpa, Namaskaru. Great Recipe. If we use Bedige mirsang (Kashmiri red chillies) or kumta red chillies, tje color of the gravy is very alluring. Great recipes. Can I post few recipes too? Fish curry ke liye hum jan denge. This is a great recipe. However, we have a slight variation on this recipe wherein we also add a bit of fresh coriander in the mixture and the fish is prepared in coconut oil. This enhances the flavour further. Also one tip is to add a few grains of rice or a a pinch or two of rice flour so that the coconut and water do not come apart. The best red chillies for this recipe are what we call Bedge mirchi. I don’t the english translation for this particular version of red chillies. we do this with a slight variation, we first smash finely chopped onion , green chillies and ginger and then boil it with litte water. then add the ground masala and fish. Hi Shilpa. I just found your blog today and love your presentation. I have never actually had Konkani food but am really eager to learn about different cuisines in India. Therefore would love to know about all the traditional recipes etc. I have a question though. Where we live in north India, the fish is not very fresh. So would this work for that because I really don’t like to deep fry fish which is standard to get rid of any fishy taste. Tsunami in the mouth seeing those bangada. lively pictures. recently u made this curry i think. these pictures were not there before. Hey shilpa thanks for thefish curry recipe. Its really tasty. Just want to to know how to prepare lepo curry . Can you please help. Hi shilpa, the curry looks yummy. The red chillies shown in the picture is much more quantity than what you mentioned in the recipe. (coconut in your above purple bowl…is that your one cup measurement)? 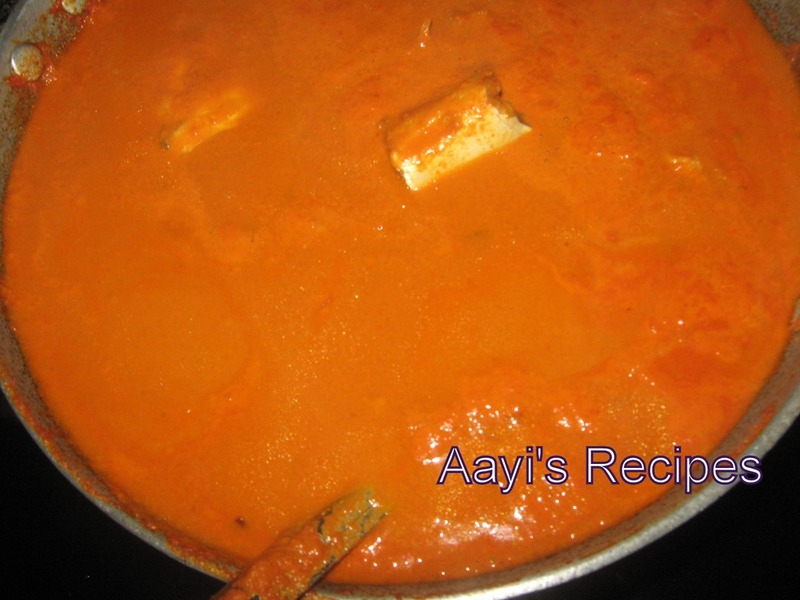 Frequently I check “Aayis Recipes”, since I am lil away from my native these recipes helps me to cook amgel food. Great Work!!!! Please carry on ..
Amgel khana/Jawan sarva lokanka ekka jaagere meltha assa manche vishay makka khushi ditta… Thank you. Thank you for the wonderful recipes. As a viewer, we would like to know a little bit more about your family , especially we would like to see your mother who has helped us all cook such delicous konkani food. Thank you very much wishing you and your near and dear ones very happy deepawali.